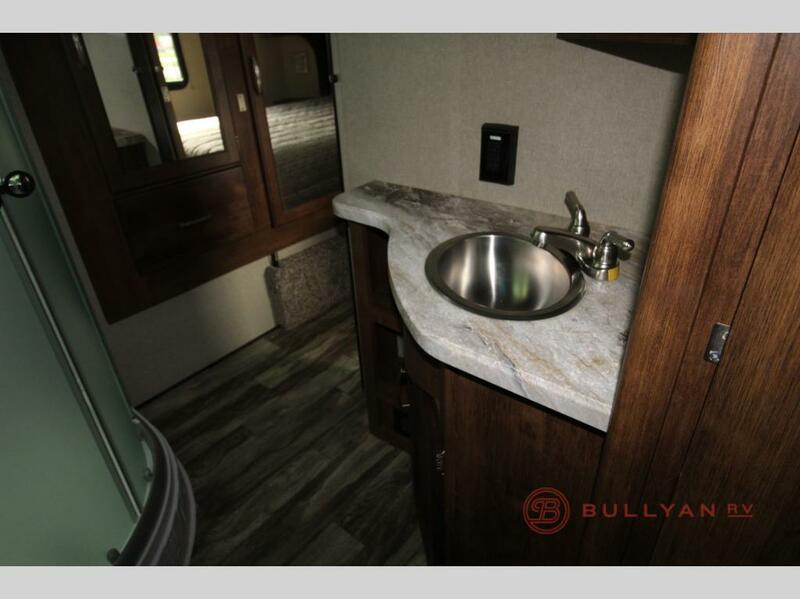 If you’re a large family getting ready to hit the road, you’ve got to check out our Grand Design Reflection Fifth Wheel RVs for sale! 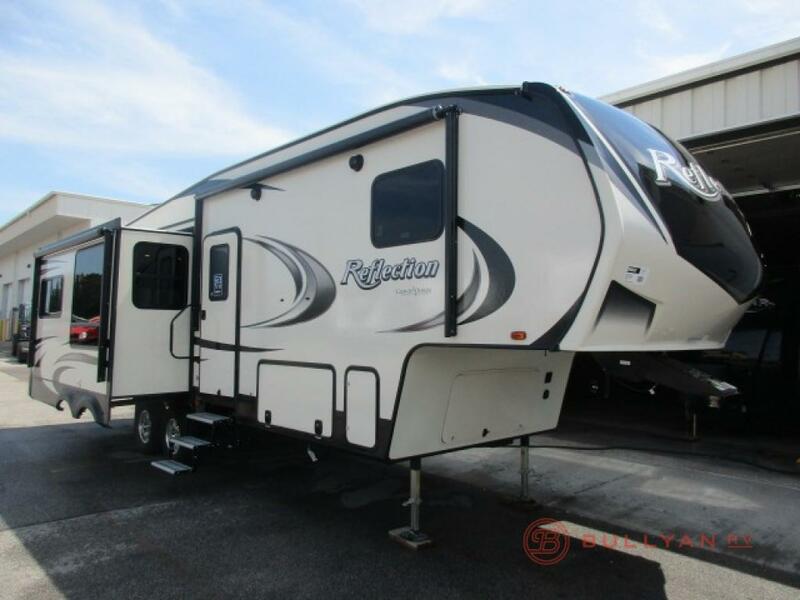 This spacious, all-inclusive fifth wheel will house you comfortably and extravagantly wherever the road may take you. Maybe you have several kids or grandchildren. Perhaps a friend or two. Or maybe you’re a smaller family who just wants some extra room to stretch. 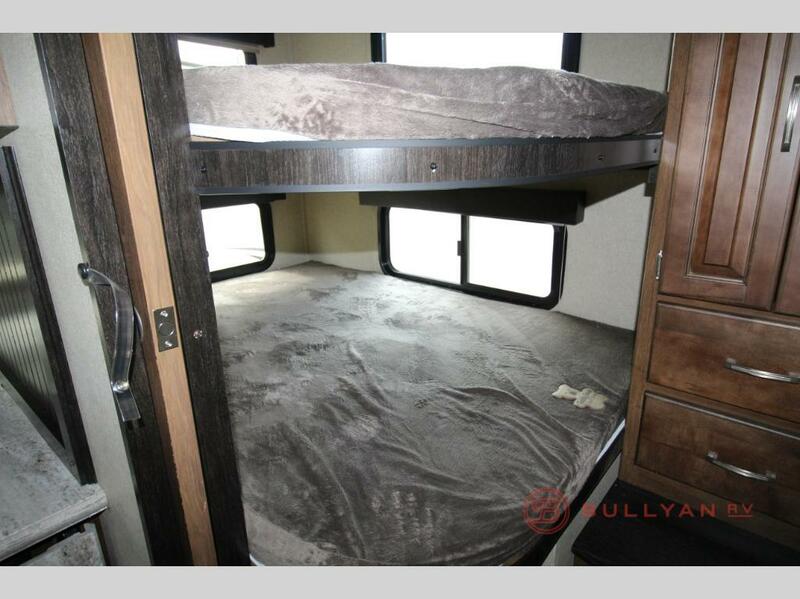 Whatever your needs are, you’ll find the space – and the storage – you need in this RV. First up is the bunk house, boasting full size bunks and plenty of room to stash the kids’ jackets and belongings in the wardrobe, drawers, and wall hooks. 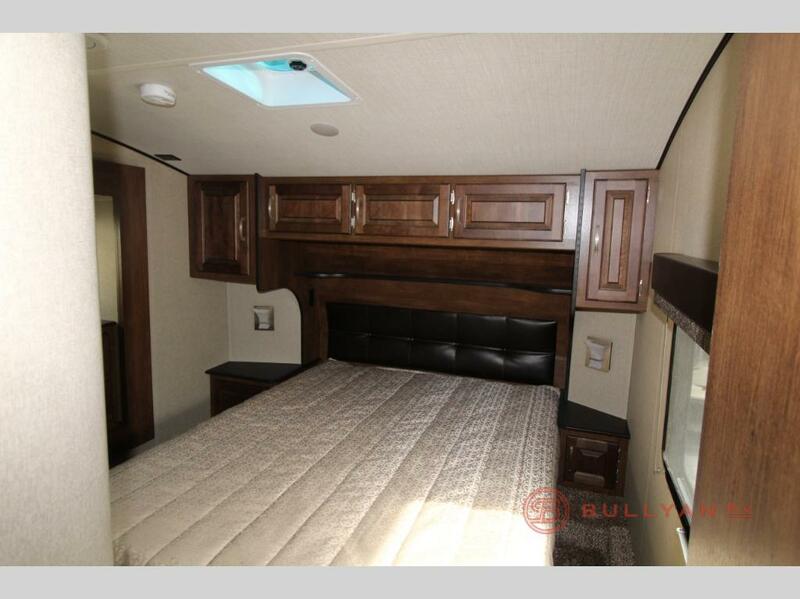 If you need even more sleeping quarters, the generous living area contains a sofa sleeper and a convertible U-shaped dinette. 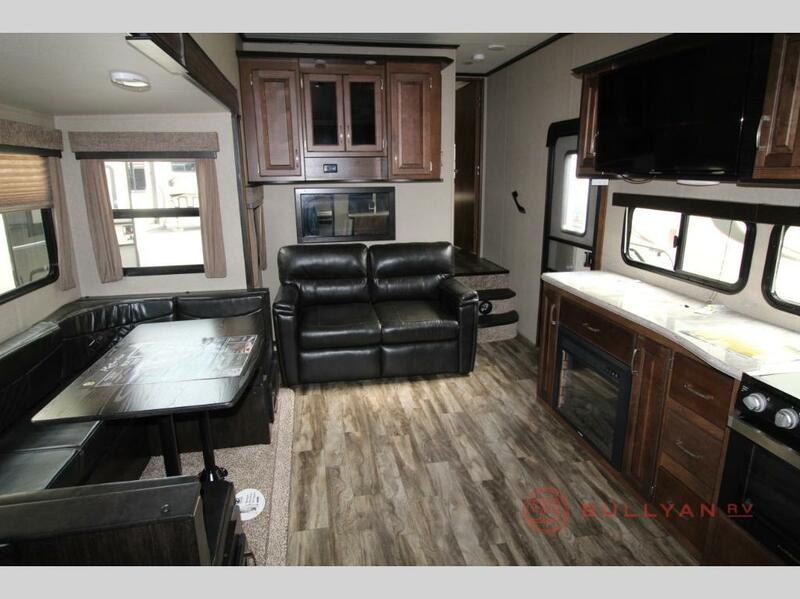 The Reflection RV sleeps up to ten, so If the weather drives you inside, the fireplace and 40” television will keep you cozy and entertained. The primary bedroom comfortably houses a queen size bed and tons of storage: a king size closet, drawers, cabinets, and oversized underbed storage as well. Finally, you’ll love the comfortable bathroom which includes a wide view skylight over the shower, stainless steel sink, and a large medicine cabinet with mirror. The exterior of the Reflection features an outdoor kitchen, All-in-One docking station, LP quick connect, an outdoor TV, and yes, you guessed it – even more storage. Make sure to check out the amenities included in our Ultimate Power Package, the Peace of Mind Package, and the Arctic 4-Seasons Protection Package. These features help ensure your comfort, safety, and enjoyment while on the road. Let’s face it. We know packing light isn’t in everyone’s skill set. Sometimes you truly need to pack more than you think you might need – especially if you have kids. There’s even more to love than what we’ve included in this Grand Design Reflection Fifth Wheel RV review. See for yourself and check out all the features of our many Reflection floorplans! The Grand Design Reflection allows you to bring what you need and still maintain comfort without feeling crowded. Contact us today. We’d love to help you put this home on the road!